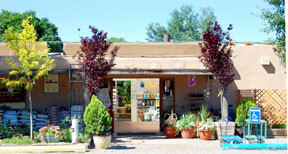 There’s so much more to Payne’s than our excellent selection of plants. Our Garden Centers, Payne’s North and Payne’s South, offer staff experts to answer questions on planting, pest control and fertilizing. They can also recommend the best tool for the job at hand, from planting and pruning to digging and raking. Our staff can help with a large range of bagged goods and fertilizers, or products for weed control, pest control (both insect and mammals) or plant diseases. 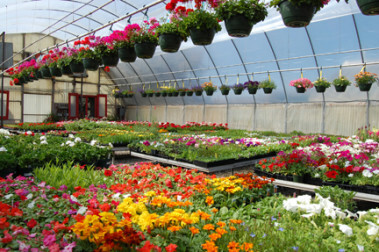 We have watering equipment from watering cans and different types of hoses to drip irrigation equipment and sprinklers. We have special products for protecting plants from frost and others to block weeds. We offer yard décor including benches, bird feeders and bird baths as well as ways to keep birds away from gardens and flower beds. We carry pond supplies and equipment. We grow seasonal plants from summer bedding plants to poinsettias as well as Easter lilies and unique seasonal décor and gifts. We celebrate and support Arbor Day, Earth Day and Native Plant Day as well as Mother’s Day, Memorial Day and Father’s Day. At Christmas we offer cut plantation-grown trees as well as fresh cut garlands, wreaths and holly. We carry large and small “permanent” (some people call them “artificial”) trees and wreaths. And we have a different collection of unique ornaments each year. We offer free workshops in the Spring and Fall on topics including planting and pruning, composting, pest control, container gardening, xeriscaping, organic gardening and vegetable gardening. We want to be your nursery and help with all your growing needs.